Sorry, Revlon, I love almost all your products to death, but your Baby Sticks are a total FAIL! 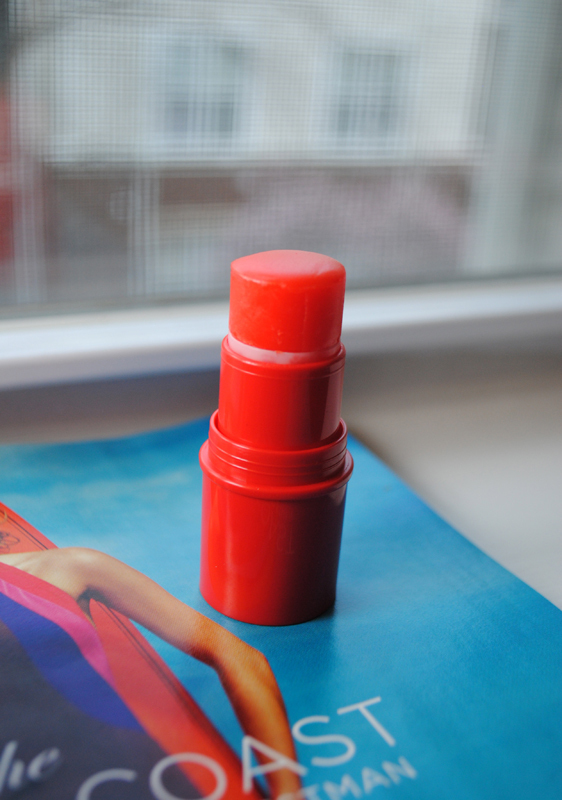 From what I've read on other blogs, the Revlon Baby Sticks, which are meant to be used for cheeks and lips, were around a few years ago. They've been brought back in new shades for the Pacific Coast by Gucci Westman Spring 2013 limited edition collection. I was at the CVS the other day with $5 ExtraBucks and itching to buy something when I spotted one lonely Baby Stick in the shade Sunset. No display, nothing — it was just tossed into some other brand's products. Now keep in mind I hadn't read a review about it yet, I had just heard it was coming to drugstores. I figured I had the ExtraBucks and CVS is great with returns, so I bought it anyway. I quickly paid and as I walked back to my office, I quickly ripped off the plastic and swatched it on my hand to see how it transferred. Observation #1: At CVS, this teeny thing was priced at over $9! Granted I had $5 ExtraBucks, so I only paid $4 and change, but are you kidding me? Observation # 2: This thing is TINY! That makes the price even more ridiculous. 0.1 ounces. Observation # 3: NO PIGMENTATION. Nothing. Nothing. 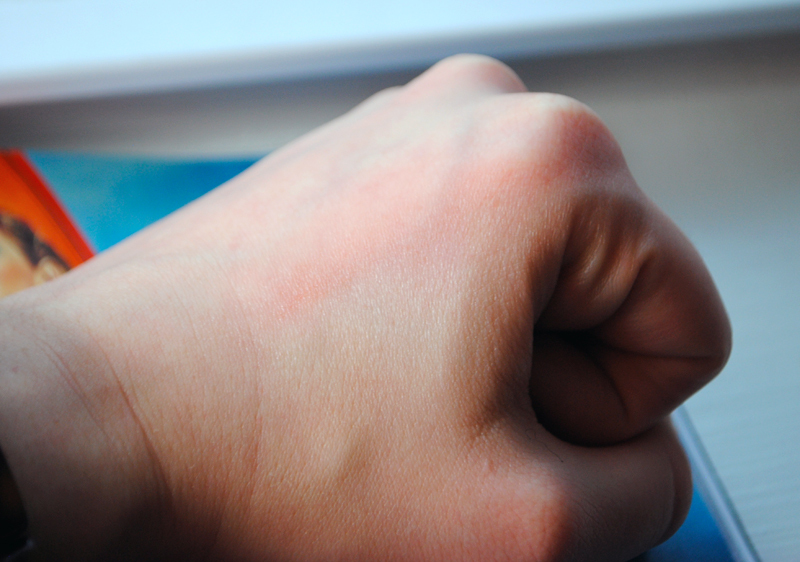 In the swatches below, I swiped it hard across my hand 20 times before I could see a tiny bit of coral-y orange color. I took some heavy, heavy swatches when I got home. See below for pigmentation lols. This is the result of me swiping the Baby Stick hard 20 times on my hand. Do you see the color? Barely! 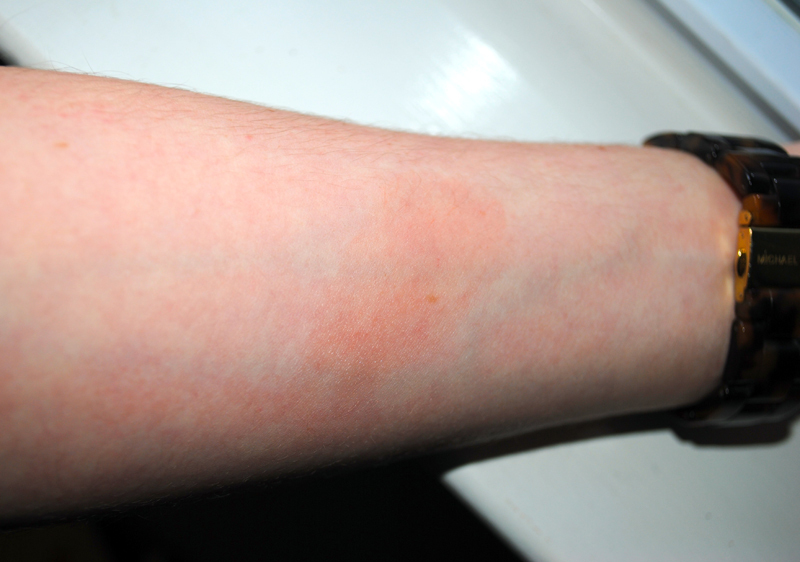 Here's another heavy swatch (at least 20 swipes), this time on my arm. Again, barely any color. "Using fingers or a brush, dab a small amount of cream blush on apples of cheeks. Apply 2-3 dots of color along cheekbones." If I'm swiping 20 "dots" on my skin and I only get this much color, something is off. Did I just get a bad product and this missed QA inspection? I doubt it. These babies only have .1 ounces of product. For the amount of times you'll have to swipe in order to get anything resembling color, you'll have finished the product. 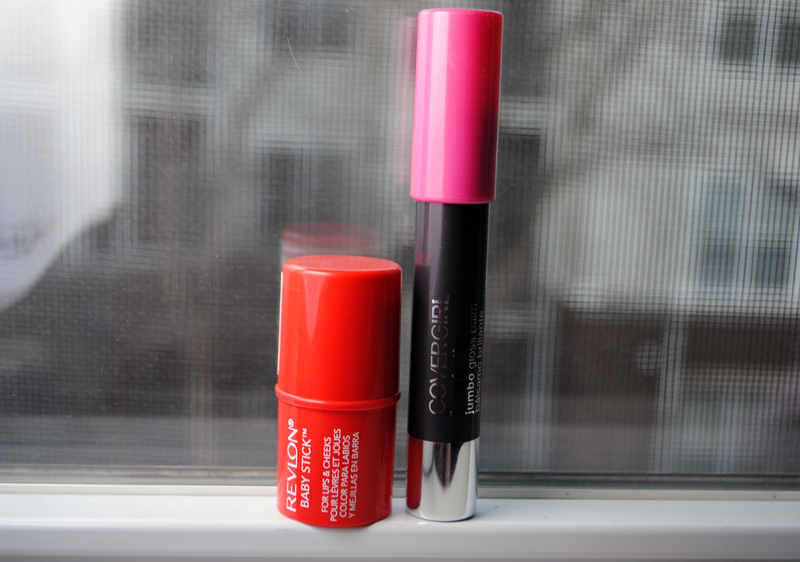 Here's how it compares in size next to a CoverGirl LipPerfection jumbo gloss balm. Did I keep this? No, it went straight back to CVS, where I had a lovely chat with the lady working there on how disappointing a product this was. As an alternative, I highly recommend the Revlon Photo Ready Cream blushes, which are also on the more expensive end, but are super pigmented and lovely. My verdict, if it isn't super obvious, is to skip the Baby Sticks. Better luck next time, Revlon.